Before you actually watch any kind of anime, the type of show you're going to get yourself into becomes very clear cut after the first episode or so. "Galilei Donna" begs to differ, I didn't know what kind of adventure these girls were getting themselves into until about episode 4 or 5. Its a strange anime, but if I were to compare it to something else, I'd say that it rings many bells to "Eureka Seven", though at times the plot is a lot less confusing here. 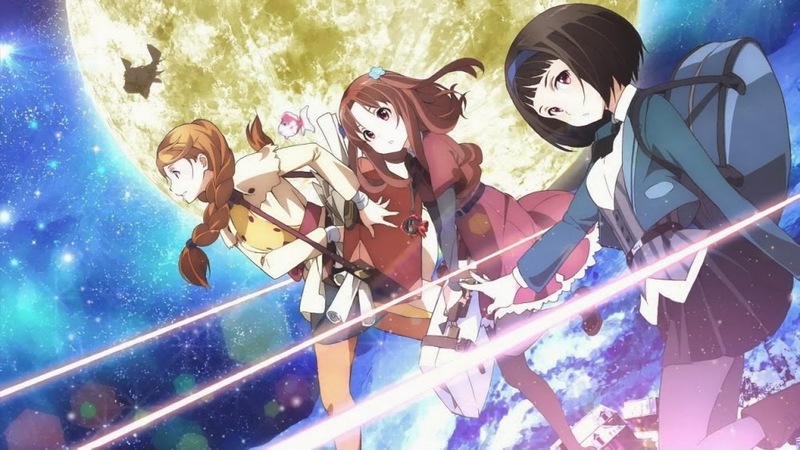 Other than a little bit of mecha action, mystery solving and killing, "Galilei Donna" feels more like an anime about character development. Behind all these crazy themes and ridiculous action lies a story about 3 girls trying to prove themselves to the entire world. In a way, its sweet, though everything ends way too quickly. This is a nice example though, if you want your characters to develop well in an anime as short as this, a small handful of main characters will do...do not over bloat your cast. 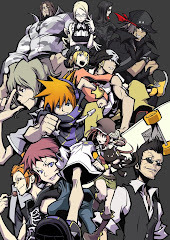 The opening theme is one of the most catching songs I have heard in a VERY long time. Yes, it's that good. The song title is "Synchromanica" by Negoto, and by god is it catchy as f**k. I'd say that it does fit the anime quite a bit, and it has a nice jazz tune going on for it. All I can say is GOLDFISH! 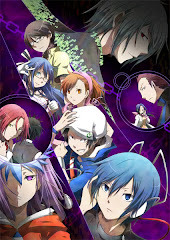 The ending theme is "Innocent" by Earthmind, and while its also pretty catchy, its got nothing on "Synchromania". Typical anime ending theme syndrome here, nothing too special really. I'll be honest, the plot, while it has substance, isn't all that interesting, it's the characters that make the show a fleeting experience. And when I mean characters I only mean 3, the Ferrari sisters, everyone else doesn't really matter (though Cicinho is pretty cool). The mystery behind the moon sketches weren't really anything too intriguing, and everything gets solved by a single time travel sequence, which isn't the best of things. Time travel should never be used as a plot device for anything, it's too damn convenient. 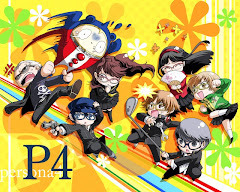 Though in this cast, it works somewhat well as the mystery behind everything DOES get solved. Other than all of that, the mecha action is average, though the 3 sisters growing throughout the entire journey was what made the entire series somewhat worthwhile to watch. There were even some really well done emotional moments that will pull on your heart strings...no matter how annoying Anna was throughout the entire series. You do NOT mess with these 3 sisters! The story focuses 3 sisters as the main protagonists. They are the descendants of the great Galileo Galilei, but they don't really do much to back that statement up, much to the dismay of their mother. The youngest sister Hozuki is a shut in, the second sister Kazuki is a regular high school student with no special tendencies, and the oldest sister Hazuki is studying to be a lawyer....none of them are following in the footsteps of the great scientist Galileo Galilei. One day however, the 3 girls are targeted by unknown men, and they were brought to the police for protection. The next thing they knew, they were all under arrest for no apparent reason, and the government was asking them for something known as the Galileo insurance. Hozuki wasn't captured, and she pilots a giant goldfish mech that she had been building for the past 2 years of her life to rescue her sisters. Then, by the words of a nice stranger Anna, the sisters decide to scavenge the world for Galileo Galilei's moon sketches, hoping to find a way to get themselves out of this mess as wanted refugees. 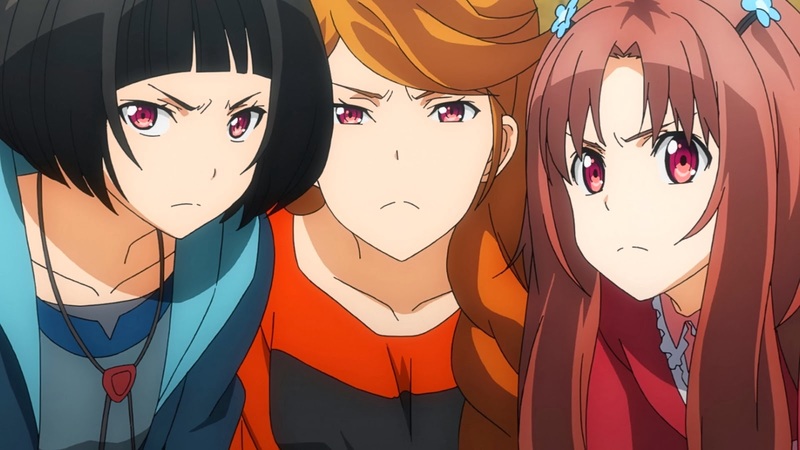 "Galilei Donna" is like watching 3 sisters going on a journey to repair themselves, its not exactly the most compelling of experiences, but it feels good when you see them grow. There's a whole lot of other instances thrown in, like mecha action, politics and a little bit of romance, but everything is just fodder for character growth. 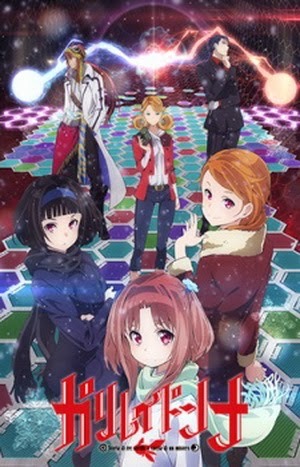 "Galilei Donna" is nice and short, which is how short animes should be. The character development only worked in such a short 11 episodes because there were only 3 characters to build upon.